Heyo, going to be slowly adding to this post over time. Cab for the Legion corporation. Legs deploy when no other blocks are attached, allowing the cab to walk around. 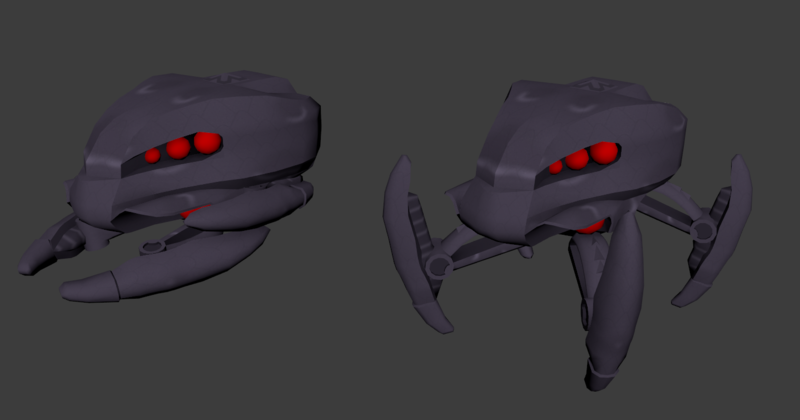 They fold up into pincers, which can be used as melee weapons. 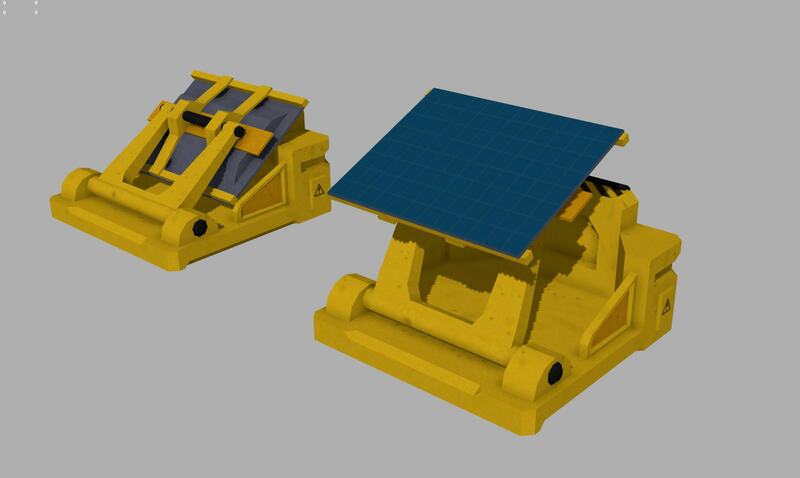 This block would act as a standard mining tool, only the resources that it gathers would automatically be collected and deposited onto a conveyor belt attached to the rear of the block. 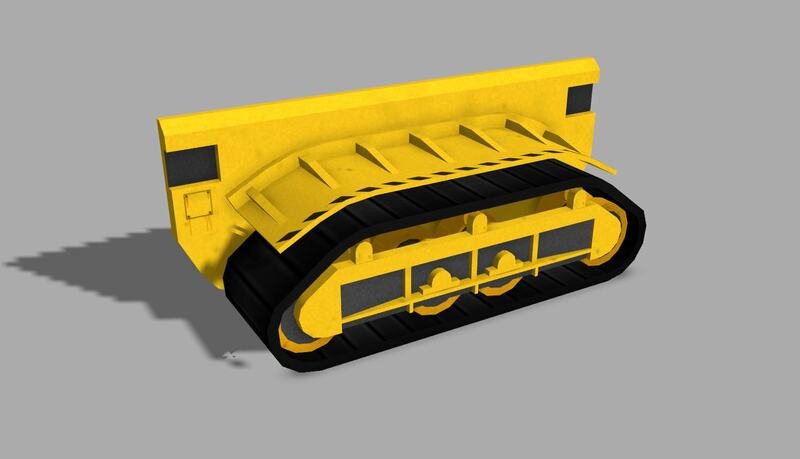 Would prevent the need for separate mining and collection tools attached to the same tech. Combat-wise, I imagine it'd be near useless, so it doesn't come without trade-offs. 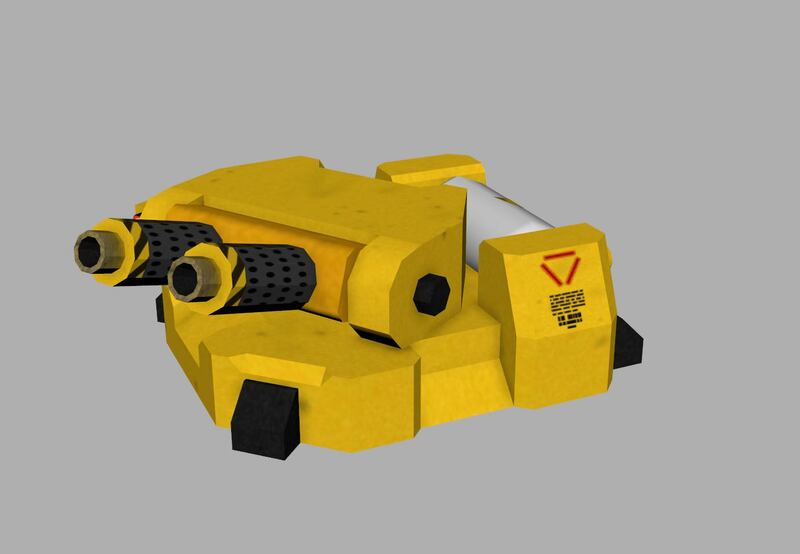 With a power output of 4 GSO panels, this 2x2 block gives players a stronger form of panel that's far more resistant to enemy attacks. However, it would have a longer deploy time, as well as only having connections on one side and the bottom. Originally intended to be used to clear dense forests, I'm sure players will find an 'alternative' use for this flamethrower. Longer range than it's Venture counterpart, and has a higher damage output. 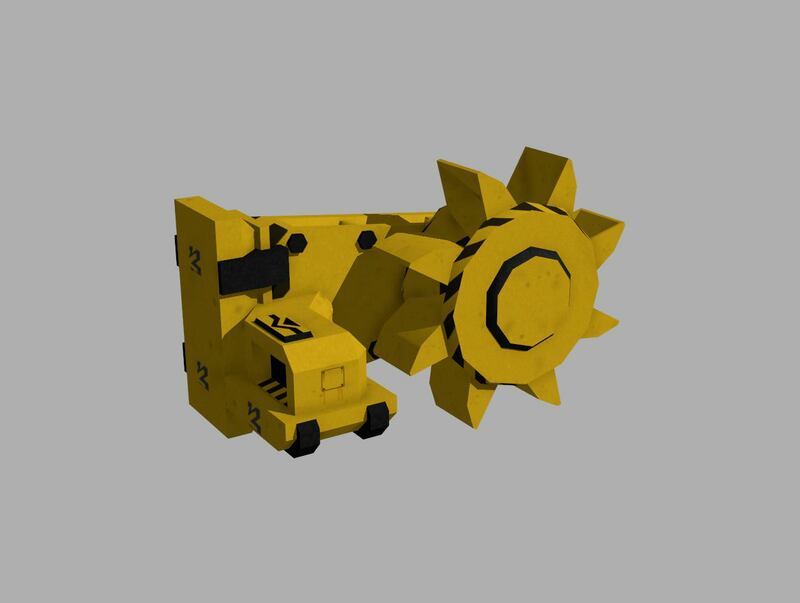 Operating more slowly than the GSO Autominer, the GC variant produces more ore per resource node. @Jason Howard @Anton You guys should consider hiring this guy! If they do, then there will be some adjustments to the Dev's current pipeline. Lobstrex is using Autodesk Maya, while Anton uses 3DS Max. GC conveyor is two lines (from what i know) so first tool have to have two conveyor exits to be consistent with GC design. So if you make base of it 3x2 then wheel can be little bigger in all directions. good idea , but how did you do that. @Nightblade Greyswandir - I'm very good at pretending I know what I'm doing , and I wasn't even aware GC had conveyor pieces. Have they made it into the stable release yet? @Gayvid` That's a pretty big question. If you're asking how I modelled them, then you'd be better off finding video tutorials on modelling, it's not an easy subject to explain. No this is just what devs told us in streams and on forum in some threads... I can't quote them as it is long ago when that was in any conversation. But I am 99% sure it will be double track of conveyors for GC. Put them in new post so we can like them! Sorry for the massive bump, been super busy with work and life in general. 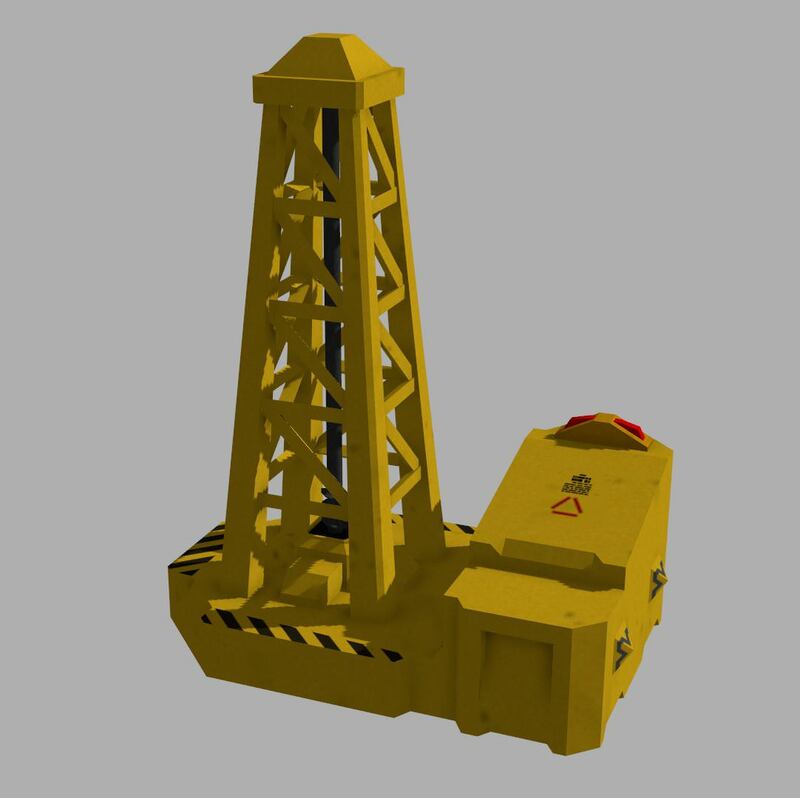 Updated with a new Geocorp track model! Cheers for the kind words, guys, planning on pumping out some exciting stuff soon! Added the Legion cab! Working on other blocks for the corp, but real life is making progress pretty slow. 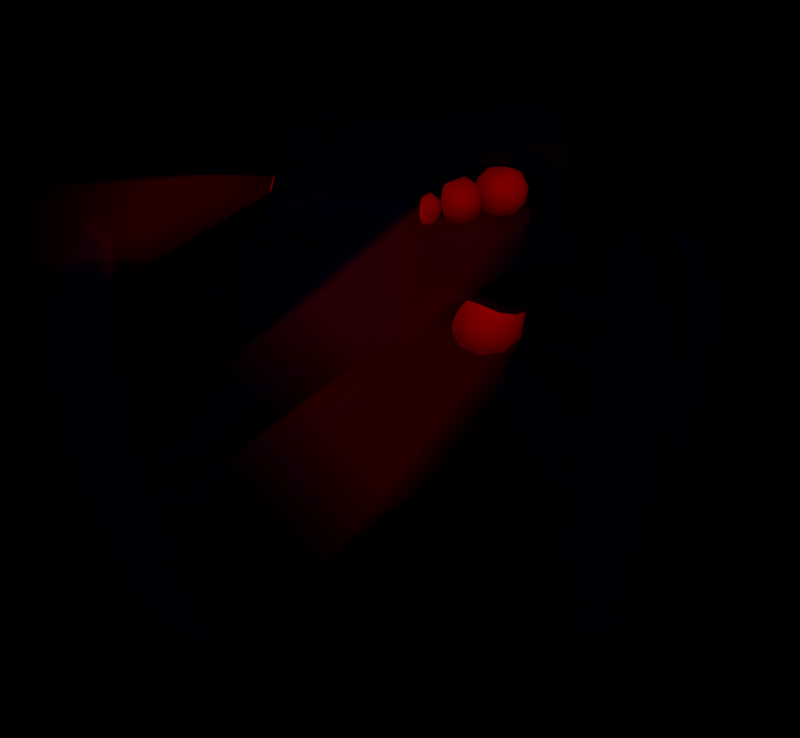 Also, not happy with the texture, so expect that to be tweaked in the future. Woah deployable Mecha legs! So cool! Also, not happy with the texture, so expect that to be tweaked in the future. Yeah I think the texture could be better. HOT DAMN!! These are some amazing blocks! Please continue existing.